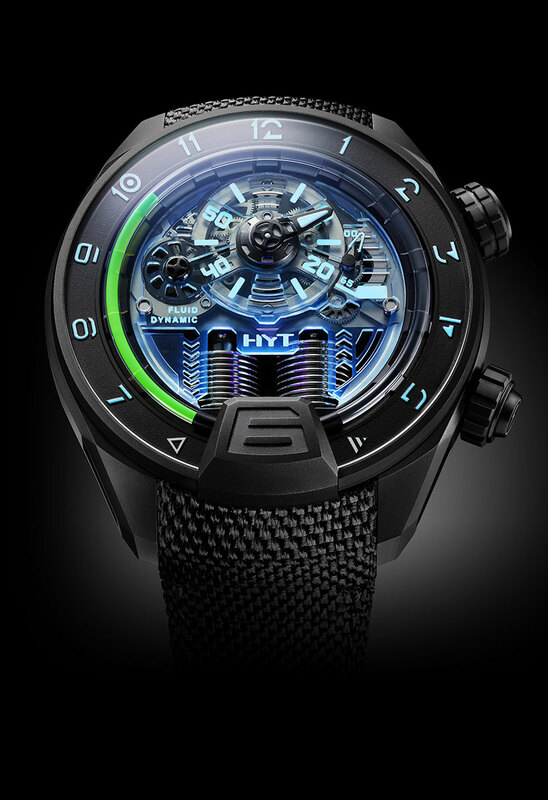 In contemporary Haute Horlogerie, HYT stands out as a brand revolutionising time display with their unique mechanical movements using a microfluidic module. Their latest model is the H4Neo is introducing a surprising feature for a mechanical watch, two LED lights! Yes, LED lights in a mechanical watch. The watch is equipped with a microgenerator powered by a barrel spring which can be wound with the crown at 4:30. 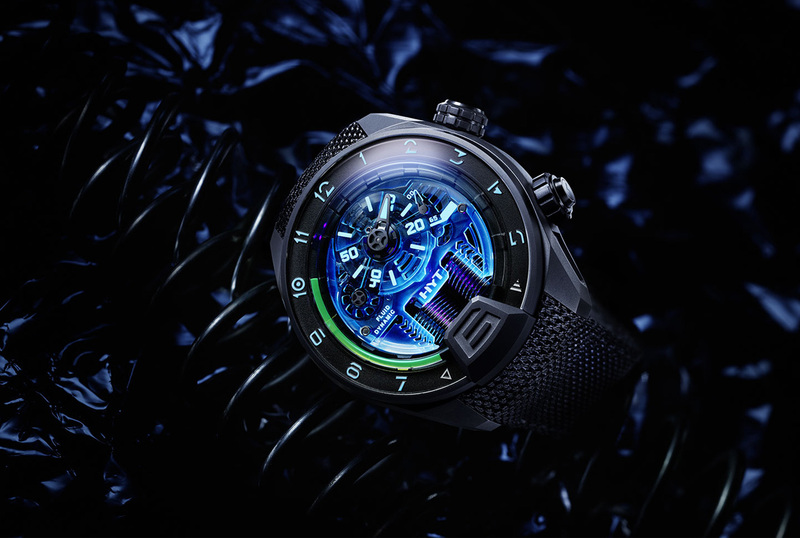 At nighttime, when this crown is pressed the two LEDs light up, filling the transparent composite dial loaded with fluorescent nanoparticles with a purple light. As you can see from the pictures and the video that will follow the specs, the effect of the purple light and the green fluorescent liquid hour indicator is absolutely striking.